I really had my sights on M104, the Sombrero, since I never could get there from my previous spot in Western Mass. Between the weather and the 70 foot pines blocking the southern sky, it was impossible. Here it is definitely possible and there are no physical barriers to the view, but to the south there is a light dome from El Paso, and after testing it out I was running into issues with plate solving there (see last post). It looks like I will have to wait until I have more time. We are going to be moving to a permanent spot up the street from here and in the next month we will get the high winds and dust everyone is warning me about! I will have to take my gear down and put it away until probably late April/May. In the meatime I have time for 1 more project and happened to come across this galaxy just to the west of Leo’s head. NGC 2903 is surprisingly large, 12 arc minutes in diameter and is perfectly positioned right now, rising just before sunset. Basically it looks like a smaller version of M81 with a more interesting core! I’m surprised I never saw it before. Of course, as always we are going to go deep with it and hopefully will get at least 30-40 hours in over the next couple of weeks. I started off with about an hour and a half of red and luminance before some clouds came through. 12 minute raw uncalibrated luminance frame. Note the bloomed star image in the upper left. 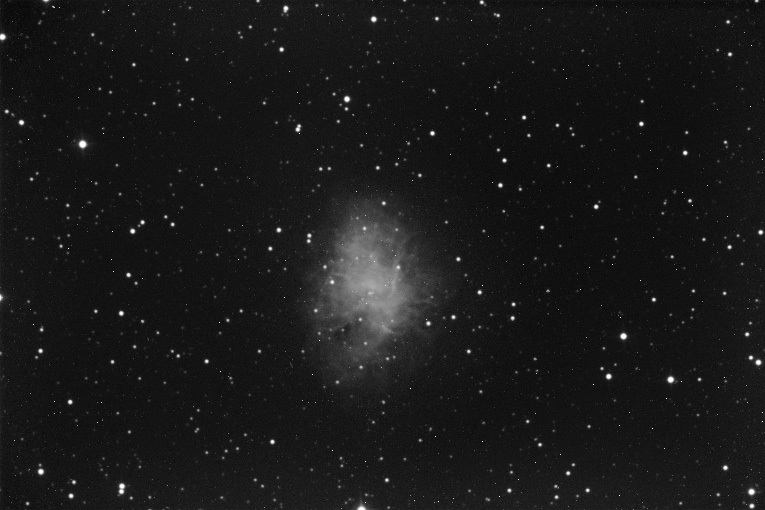 I thought I was going to do photometry at some point so I went with the non antiblooming camera. Also the curved streak in the lower left is junk on the chip glass and unfortunately NOT a newly discovered galactic tidal tail! Well certainly there is no argument that automated imaging is the coolest thing ever! But..it’s not easy to get consistently error free runs. I think I have had maybe 3-5 sessions that went totally error free in the last month. It really is remarkable that this can work at all! I mean, think about it for a second: the scope slews to a star with, for example, your red filter in place since you are starting with red filtered images. Then it focuses on that star, changes to the clear filter, slews to your target to within often less than 1 arc sec, changes back to the red filter, finds the right guide star, starts your red images, refocuses after 2 hours (each time it focuses it moves off of the target to focus, then back to the target to resume images! ), dithers each image after it is captured (dithering is a routine where images are offset by 2-3 pixels to improve noise reduction when they are combined during processing), flips to the west side of the meridian when the object transits, refocuses and finds the target again! Then after your light frames, it will park your scope, maybe take dark frames if you want and then at dawn slews to the neutral point in the sky for sky flats if you want those! So there are a lot of things that have to happen and hence a lot of things can screw up ! Luckily for me I just need to go outside maybe 25 feet away and don’t have to troubleshoot from a 1000 miles or so! 1) Your target happens to be in a star-poor region of sky. Obviously if there are only a few stars there is less of a chance for a match. If you increase exposure it may not necessarily help if noise is increased. 2) Your target is in a region of sky glow. Similar problem as number 1. Some people will use a light pollution filter for plate solving. Haven’t tried that yet but an interesting thought. 4) Clouds roll in! Not sure what to do about this. I think in that case you’re out of luck. The automation program I am using now (CCD Autopilot) does not have a routine (yet) for delaying the imaging until clouds pass. Happy to say my very first imaging project in my new location of Southern New Mexico is finished! I’ll admit I’m addicted to the long and deep projects, maybe 30-40 hours minimum and back in the Northeast it literally took me 2 years to finish an average project! That’s because you had only a couple of clear nights a month and by the time you could get back out there, the target had disappeared behind the trees! Plus I did not have the luxury of automation at the time and while I did have an observatory, it was manually operated. Now I can automate meridian flips and keep going to take advantage of the multiples of clear nights I now have available! Life is great! 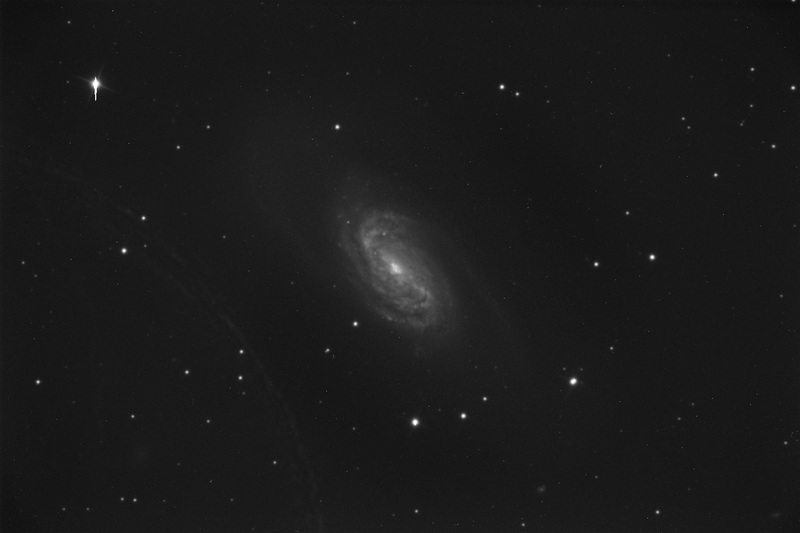 Here is my last raw frame which was a 2×2 binned blue image of 12 minutes duration. My totals for M1 were 8 hours each of luminance and HA unbinned, 8 hours of red and green binned and about 10 or so hours of blue binned. That was the easy part. Now comes the processing!